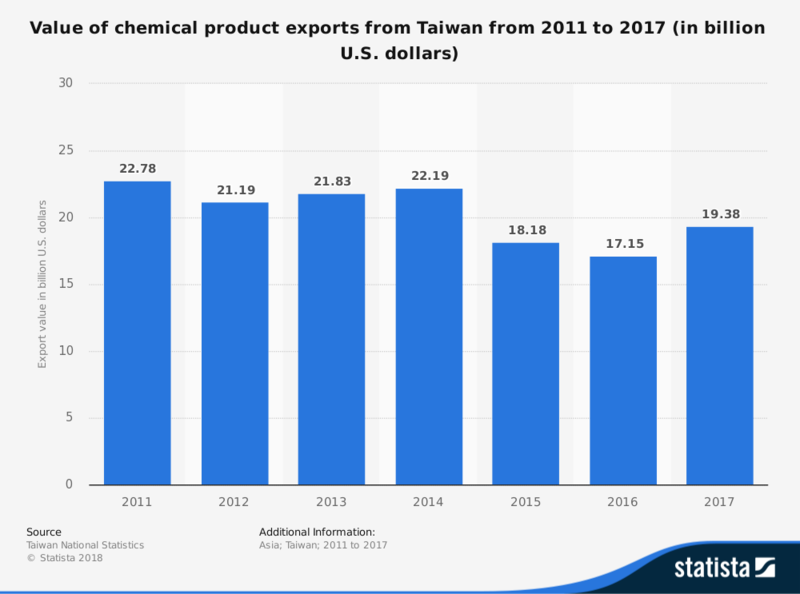 The Taiwan chemical industry has grown dramatically since the conclusion of World War II. It is a sector which is self-sufficient in many ways, although there are still several challenges that the sector faces. International trade policies, government recognition, and competition from mainland China all create pressures on this industry which are unique when compared to the overall global industry. 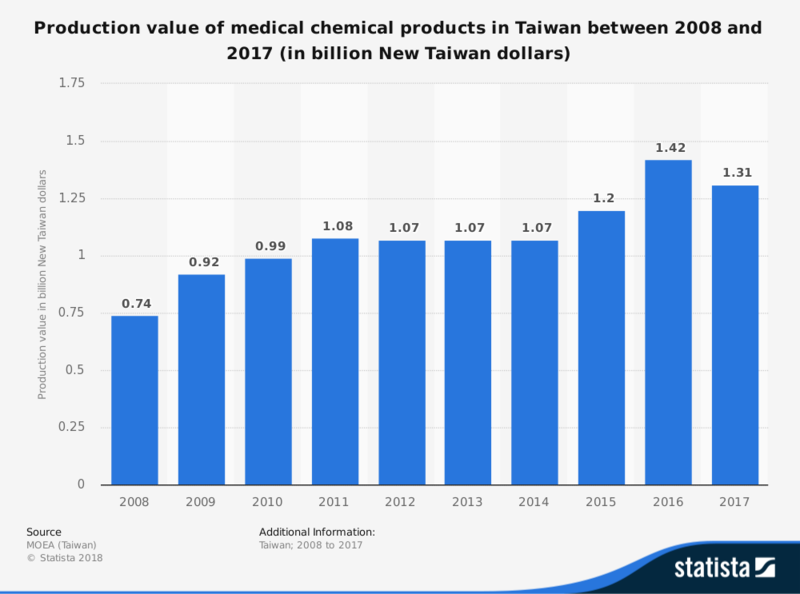 In 2010, the total revenues earned by the chemical industries of Taiwan reached $135 billion, accounting for nearly 30% of the GDP. The overall manufacturing sector earned revenues that year of $461 billion. There are about 80 significant chemical companies operating in Taiwan as part of this industry. There are also 42 member companies of the local petrochemical association that help to product upstream, downstream, and midstream products. The Taiwan chemical industry continues to benefit from the trend of using disposable items domestically. When the low cost of the chemical output from their manufacturing sector is included with these figures, the industry stands poised for an impressive level of growth over the next 5 years. What holds the industry back from achieving their full potential is their relationship with China. The mainland prefers to operate on a one-nation policy, which means the export market should go through the communist regime instead of the democratic government on the island. That limits the export opportunities because China “purchases” a majority of the products which become available. Taiwan must be able to negotiate with other trading partners on its own without having a big brother interfering with the process to help their chemical industry continue growing. The markets are maturing in the rest of the world, which is why now is the best time to take action. If they can, then it will continue to be a top manufacturing center in the world. If not, then there is a good chance that China could absorb this industry by the end of 2028.